A distinguished, robust blend of Nicaraguan and Dominican tobaccos and a stunning Ecuadorian Sumatra wrapper complete this magnificent premium handmade Churchill. An evening smoke that is most enjoyed with good friends and fine food. 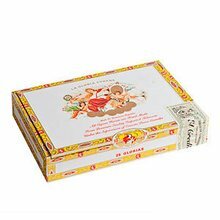 Packaged in a box of 25. Definitely FULL flavored. Consistent on construction, razor sharp burn, effortless on the draw with peppery finish lasting down to the nub. I would call it medium-full on the strength. I love lgc cigars. Strength flavor and construction. Strong coffee yet smooth like cream. Price is great from JR! Must try! This is a fairly good cigar. It has a really nice medium brown wrapper with a nice hint of oil. It's a medium-full body which is great for an evening smoke or something to have with friends. Smooth as a summer breeze and the smell is a thing of beauty. I will certainly be ordering these again in the near future. 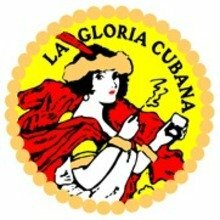 The glorious Cuban woman (La Gloria Cubana). You can never go wrong with a beautiful woman. 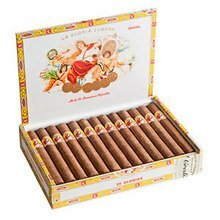 A medium bodied stogie from La Gloria and like most of their smokes this one does not disappoint. It’s smooth, flavorful smoke gives a consistent taste and draw for the hour and a quarter I indulged in this tasty dark brown cigar. Ok smoke. Not one of my favorites. It was not as good as I expected. Well this is a great cigar. Full of flavor, nicely made. Easy but powerful smoke. I give it an 8 out of 10. What a great smoke. It was a great ride from the moment I lit it up. Truly great times!